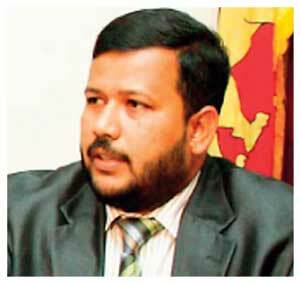 Minister of Industry and Commerce Rishard Bathiudeen will be questioned today by the anti-corruption commission over allegedly extending a Letter of Credit (LC) for the import of a rice consignment of questionable quality. He was summoned to appear at the police unit of the commission last week but he requested another date to appear before the police investigators of the Presidential Commission of Inquiry to Investigate and Inquire into Serious Acts of Fraud and Corruption (PRECIFAC). According to PRECIFAC officials, Bathiudeen will be questioned to find out why he extended the LC. The team of police investigators is led by ASP Lalith Abeysekara and assisted by Chief Inspector Geethika Bodhipaksa and Inspector Anuradha.